We get asked to define sustainability a lot, and the answer is wondrously complicated. 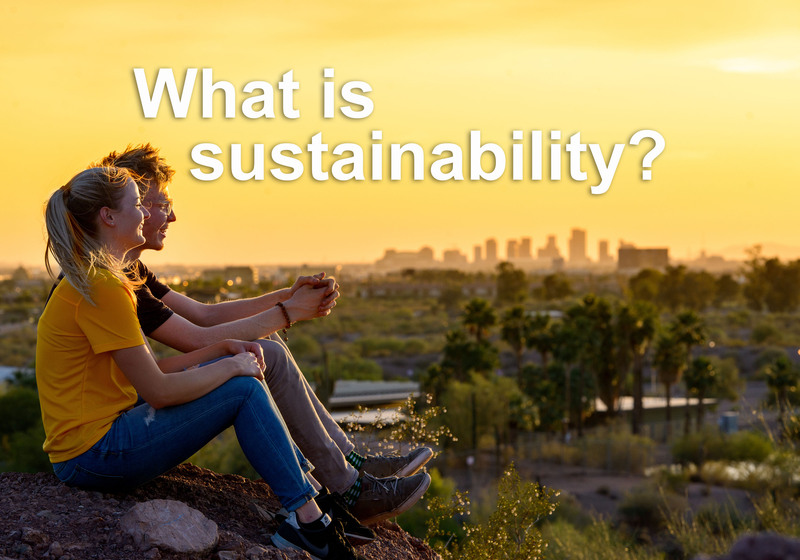 The ASU School of Sustainability is a fascinating place, and every person you meet here will give you a slightly different definition of sustainability. That’s because sustainability really can be applied to almost anything in life. Most people agree that sustainability has three fundamental pillars – sometimes called the triple bottom line or the Three Ps. First, something that is sustainable is beneficial to us and our neighbors – People. Second, it is good for the environment – Planet. Third, it makes economic sense – Profit. At the School of Sustainability, students learn to look at problems and solutions systemically, understanding that no solution can be sustainable unless it fulfills all three sustainability pillars. Sustainability is not about doing “less bad.” It is about doing “more good.” Who can argue with that?